CHEMISTRY debuted at “Asayan” auditions, organized by Sony Music Entertainment Japan, in December 2000 with their song Saigo no yoru.Their major debut with Sony came just four months later with the maxi-single PIECES OF A DREAM, of which more than a million copies were sold. The maxi-single reached the number one ranking on the Oricon Charts – an amazing success, but not too surprising since most of the world’s casting acts appear immediately at the top of the charts. In the summer of 2001, they participated in the MTV SUMMER SUMMIT in Taiwan and in November, two singles later, their first album The Way We Are was released. This ranked at number one, just as expected, but now the critical point for every casting band was about to come up: would they disappear or would the hype continue? Along with their participation in the official,FIFA WORLD CUP 2002 as part of a collaboration unit called Voices of Korea/Japan, CHEMISTRY released more singles and albums, one after the other breaking the band intern record of sold units. Then, in July 2003, the remix album Between the Lines was released and it was around that time that the group parted ways with their previous producer. Their third album One X One, released in February 2004, was produced by Kawabata Douchin himself and varied a bit from CHEMISTRY’s typical sound. Although it didn’t sell as highly as some of their previous releases, it was still enough to bring them to the top of the charts once again. After their album fo(u)r and the remixed version Re:fo(u)rm, it became apparent that, despite not following the path of many of their international casting colleagues and disappearing, CHEMISTRY would continue to be successful. Along with their participation in the FIFA WORLD CUP 2002, CHEMISTRY also made themselves known in Korea with the popular collaboration song Let’s Get Together Now featuring talents from both Korea and Japan. They also collaborated with Korean ballad singer Lena Park, who appears in the b-side Dance With Me in the Kimi ga iru single. 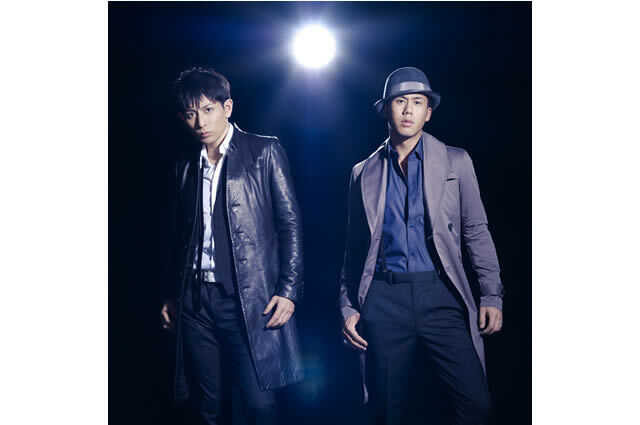 In April of 2007, the duo released their twentieth maxi-single, Sora no kiseki, which uses long distance lovers as its theme. Their summer schedule was full of lives and in July they performed at Excite Music Festival ’07 in Saitama Super Arena. This was followed by another maxi-single titled This Night which addresses the story of a broken heart from a female perspective. Its title track was used as the ending for the anime “Chikyuu he”, boosting the group’s already considerable popularity. This trend continued as their next maxi-single’s title track, a ballad called Saigo no kawa, appeared as the theme song for the movie “Zou no senaka”. Yet another significant boost in exposure came when their following maxi-single, Kagayaku yoru, was used in the opening ceremonies of the FIFA Club World Cup Japan 2007. The next two years saw the release of multiple singles, including collaborative efforts with other artists, as well as two albums, one of which was a greatest hits disc. A tour and subsequent DVD release followed. Not ones to take a rest, the duo decided to make 2011 a landmark year in their career by making their long-awaited US debut at the Otakon anime convention. Their hits Period and MERRY-GO-ROUND, were used in the animes “Fullmetal Alchemist: Brotherhood” and “Mobile Suit Gundam”. The boys surely satisfied the cravings of their fans when they opened the convention with a show on July 29th. Far from slowing down or fizzling out, it seems this pair will be making hits and gaining new fans for many years to come.